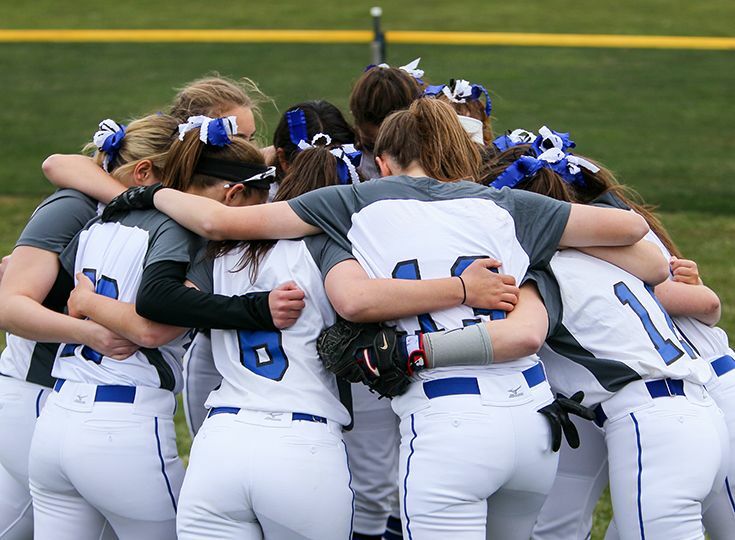 After four-straight seasons of claiming the Skyland Conference Mountain Division title, the softball program has been moved up to the Valley Division. The timing could be a little tough for the Knights, as the team lost seven players to graduation last year, five of them all-conference selections. Second-year head coach Mike Surella is not worried about the wins and losses, however: he cares more about the continual improvement of the girls’ standard of play. Despite the learning curve that might come up this season, Surella is still extremely confident in his squad. He has Claire Brouillard ’21 returning to the mound after an incredible freshman campaign in which she registered 144 strikeouts in 100 innings pitched and was awarded with 3rd Team All-Area honors. Scooter Hulsen ’22 will serve as the catcher this season and Surella has already been extremely impressed with athleticism. Gill will also be relying on other key players to make another divisional title run this spring. Ellen Besjak ’21 (2B) is a returning all-conference selection and is a superb fielder and hitter. Madeline Ricciardulli ’21 has shown to have a great, steady hand at shortstop. Alyssa Jurewicz ’19 is new to the program but has already made solid contributions in right field. Fellow senior Avery Hohman will play third base and has improved throughout pre-season. Captain Kerry Colford ’20 will be patrolling centerfield and is expected to provide pop in the lineup as well. She will provide strong leadership to the young team along with captains Ilana Druskin ’19 (1B) and Carolyn Herrlin ’19.